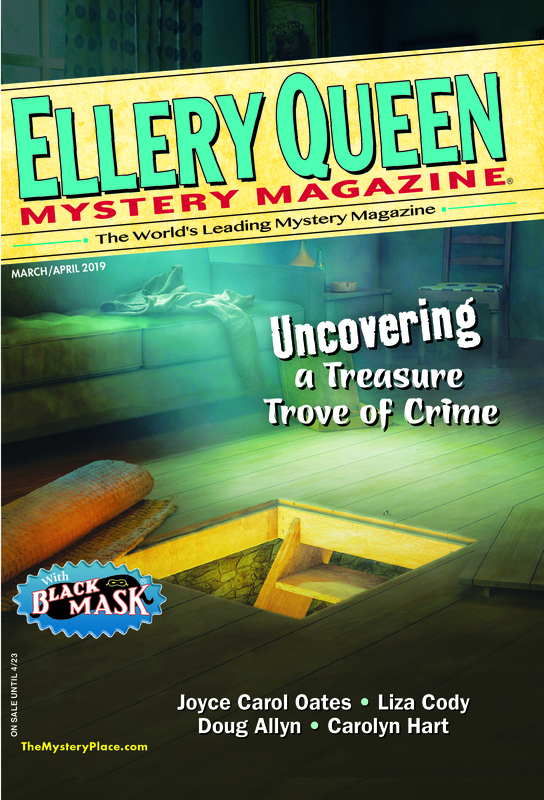 Bob Van Laerhoven’s story “Checkmate in Chimbote” appeared in EQMM’s June 2014 issue and was read for our podcast series by his translator, Josh Pachter, earlier this year. The Belgian journalist made his fiction debut in 1977 as a short-story writer, and in 1985 as a literary novelist. More than thirty novels followed, some of them crossovers between literary fiction and the suspense novel. He tells EQMM that as a journalist he explored trouble spots across the globe: Somalia, Liberia, Sudan, Gaza, Iran, Iraq, Myanmar, Mozambique, Lebanon, Burundi . . . to name but a few. During the Bosnian war, he was in besieged Sarajevo, and in 1995 he sneaked into Tuzla when the refugees arrived from the Muslim enclave of Srebrenica. His conversations with them resulted in the book Testimony to a Mass Murder. Bob’s novel De wraak van Baudelaire won the Hercule Poirot Prize for best suspense novel of the year in Belgium in 2007. It appeared in English translation in 2014 as Baudelaire’s Revenge and won the USA Best Book Award for that year in the mystery/suspense category. His most recent book, a collection of stories with war as a background, is Dangerous Obsessions. It was 1977, I was twenty-four, my debut ten days old. Proud as a peacock with a Napoleon complex, I sat behind a table, heaped with copies of my short-story collection High Voltage, in the big hall of the Antwerp Book Fair. Rows of people shuffled by. They threw themselves like lemmings on two bestselling writers of cookbooks who were sitting two tables further down the row. Even the ghastly, gas-inducing vegan recipes sold like hot dogs. After a few hours, my feathers had lost their color, my eyes had become glassy, and my mouth hung ajar. I resisted the urge to comb my hair. Joedeloe, an interview in one of Flanders biggest newspapers! “The Exorcist.” Strange question with which to start an interview about my book. The Exorcist didn’t need any more airplay, now did it? It sold a damn lot of millions. Huh? Flair? Elegance? From the novel, I only remembered the rotating, vomiting, and screeching head of what-was-her-name again? Who needed elegance when you had suspense, for Christ’s sake? “Why?” Never heard of these guys. Pedantic literary writers with page-long sentences drizzling cobwebs of words in my head? “Overblown and baroque” Alex Braas had commented on my style. And I had put so much effort into penning horrible bloody scenes, accompanied by a lot of cursing, yelling, and groaning, wheezing, panting, screaming . . . Enfin, just like fights to the death in real life, for sure. I had made sure that Gothic blood dribbled from every page. I was also mighty proud to be ahead of my time: My heroines were faster, stronger, and smarter than my male characters. And they were all masters in a secret form of hapkido-ju-jitsu, jiehaaaa! So, why should I become a stylist? He turned on his heels. I fought the urge to throw a copy of High Voltage at his egg-head. The strolling crowd in the book fair swallowed him. The troll had challenged me. That was a whole mouthful. Complex characters. Mmmm, I could always throw in some childhood traumas. Or a pinch of well-hidden madness. Bullied in youth. Raised by über-greedy parents. Shouldn’t be too hard. Multilayered plot. No problem there. My plots were such multilayered labyrinths that even the Minotaur would get lost in them. A refined style. Yikes, that was a tough one. Do you have what it takes? bleated a small green devil in my head. To gain time, I decided that I first had to determine which styles I liked. Until then I had been an avid reader of action thrillers, and my ambition was to become a writer who took his readers on a roller-coaster of blood-curdling situations, spiced up with a bit of hanky-panky. I had to change that. Gnashing my teeth, I laboriously began to read in different genres. And was, after a few months, struck by lightning when I read Vonnegut’s Slaughterhouse Five. Vonnegut was the first to show me that suspense was a Medusa with a lot of heads, and that style could be one of them. After a few years, I sensed that I was making progress, but there was still something that bothered me. Anything that is kept secret or remains unexplained or unknown; any affair, thing, or person that presents features or qualities so obscure as to arouse curiosity or speculation; a novel, short story, play, or film whose plot involves a crime or other event that remains puzzlingly unsettled until the very end; any truth that is unknowable except by divine revelation. Roughly sketched, the great stylists I had learned to admire—André Baillon, Irène Némirovsky, Franz Kafka, Graciliano Ramos, Thomas Mann, Gustave Flaubert, Curzio Malaparte, John Cheever, and many others—often lacked the mystery side I was looking for, and the action thrillers I read lacked in style. I decided to exercise with short pieces that I called—a little prematurely—“literary mysteries.” I strived for compelling stories with captivating characters, and a strong literary style. Those stories were a mess. I still felt the need to follow the rules of “action thrillers.” For instance, I wriggled myself into a thousand curves to “show” and not to “tell,” and as a result of that my style meandered from terse to lyrical, from clipped to a poetic singsong. Then, by chance, I read Rites of Sacrifice by Windsor Chorlton. At the end of the eighties, the English author Chorlton made waves with this novel, a mixture of suspense, politics, Tibetan demonology, and a riveting plot. Rites of Sacrifice was all I looked for in a literary mystery: a lean, evocative style, characters behaving like real people, and a mysterious background, populated with the shadows of Tibetan ghosts, but also by the all too palpable Himalayan Tibetans’ fight for independence. The total package of the novel felt awesome. There was grand drama, there were cunning subplots, tormented characters, war, and hardship. And this sizzling cocktail was set in the majestic but lethal ice plateaus of the Himalaya. Mystery combined with social and political upheaval with a dazzling background of the grimmest nature. I felt I finally had come home. I felt I could do this, write a book like that. One thing I forgot, though. Although the reviews were raves, Mr. Chorlton didn’t enjoy commercial success with his magnificent novel. Too literary for most thriller readers. This meant I had be patient and work harder. Slowly, the atmosphere changed. I noticed it when I read Mascara by the South-American literary writer Ariel Dorfman early in the nineties. Mr. Dorfman violated every rule for writing suspense novels. His strange and convoluted tale was more telling than showing, and possessed only small amounts of dialogue. Nevertheless, the novel had an eerie atmosphere, full of suppressed violence, and a Kafkaesque sense of alienation and danger. Not long afterwards, after having read, among others, The Cowards by Josef Skvorecký, Archangel by Robert Harris, and the novels of J.G. Ballard and William Boyd, I concocted my own definition of the literary mystery: novels you want to read more than once. Hallelujah, I felt free, loosened all reins, and started to write without following any rule except those of my instincts, feelings, and longings. I used diaries, letters, monologues, portions of “tell, don’t show,” in short: the complete set of tools that writers in the nineteenth century used to showcase their style and literary agility. I felt challenged to surpass myself. It cost me another five-or-so novels until I had perfected this mélange satisfactory enough to harbor the feeling that I had refined my voice. It turned out that, at thirty-nine, this voice had built up an audience that was faithful and big enough to make me a full-time author in a small language community (Flanders has 5 million people). Writing this blog text, ferreting through old material, I found another of my beginner’s books, a novella actually. A small Dutch publisher with a veined nose and an eternal scotch-breath edited it when I was twenty. I blinked when I saw the title. This Gory Memory of Mine. I opened the booklet, read five lines, closed it gently. And felt the urge to throw the copy at my dog’s head. Instead I planted five kisses behind her lovely drooping ears. Because I’m a literary mystery writer now. And one of the main and most fascinating features of a literary mystery is that humans are very—and often quite strangely—unpredictable. This entry was posted in Books, Editing, Fiction, Genre, Guest, Novels, Passport, Readers, Story, Suspense, Writers, Writing and tagged crime, literary, mystery, style, suspense, technique, thriller, voice, writers, writing. Bookmark the permalink. It’s always a pleasure to read your reminiscences, Bob! Thanks for another fascinating essay!